1) Condensate is the liquid formed when steam passes from the vapor to the liquid state. 2) In a heating process, condensate is the result of steam transferring a portion of its heat energy, known as latent heat, to the product, line, or equipment being heated. Convectionis the transfer of internal energy into or out of an object by the physical movement of a surrounding fluid that transfers the internal energy along with its mass. Although the heat is initially transferred between the object and the fluid by conduction, the bulk transfer of energy comes from the motion of the fluid. Convection can arisespontaneously(or naturally or freely) through the creation of convection cells or can beforcedby propelling the fluid across the object or by the object through the fluid. 2) But general concept is that if we put conduction resistant insulation to hot surface and bring the surface temperature to near ambient, we feel that we have achieved energy saving. Yes indeed! 3) We have achieved energy saving but were able to block heat losses of 30% only which are due to conduction and convection. What about Radiation? Have we ever thought about it? 5) M/s Tata Yazaki Autocomp Ltd. These paints work on the radiation control principles. It radiates and reflects heat towards source side. This in turn reflects around ten percent energy saving. Certain information is required to suggest which paint is suitable in your case. 1.What is the surface area of hot surface? 2.What is the minimum surface temperature while operation? 3.What is maximum surface temperature while operation? 4.What is the Process Temperature? 5.How much time in a day the equipment is in operation? 6.How many days in a year the equipment is in operation? 7.What is the fuel used for heating? 8.What is the unit cost of the fuel? 10.What is current fuel consumption per month? 11.How much mass is heated in a week? 12.What is the surface made of on which the coating is to be proposed? 13.What is the condition of the surface? 15.Is there any other coating already applied to the surface? 16.If so, which is the coating? 17.What are the dimensions of the equipment? 18.Whether the coating is to be applied to exterior of the equipment or interior of the equipment or both? 19.Which surface preparation procedure is suitable? Packaging Size (ex. 1L or 1Kg) 10 Liters & 20 Liters Only. Based on the heat resistant medium and after adding special additives and ceramic microspheres, UGAM thermal insulation coatings are manufactured for energy saving due to reducing heat losses from ovens, furnaces or refrigerators. These microspheres are used in manufacturing tiles used for exterior cladding of space shuttle. These coatings reduce energy from 10 to 20 percent in practical. The selection of coating is same as heat resistant coating selection. These coatings are named as UGAM INSULMIX, UGAM H R T I 200, UGAM H R T I 400, UGAM H R T I 600, UGAM H R T I 1200 and UGAM H R T I 1800. This Paint work upto 160 Deg C to reduce heat losses in atmosphere as well as for ENERGY SAVING. Please go through below details if temperature of your ovens, furnace, steam pipelines, rooftop of terrace and where heat is used for process upto 120 Deg C.
1) Ugam Insulmix EP is Elastomeric Thermal Insulation and Water proof coating. After curing it forms heat barrier, flexible, and strong film which bridges cracks, prevents peeling, future cracks, growth of algae or fungi. It prevents water seepage and is U. V. resistant. 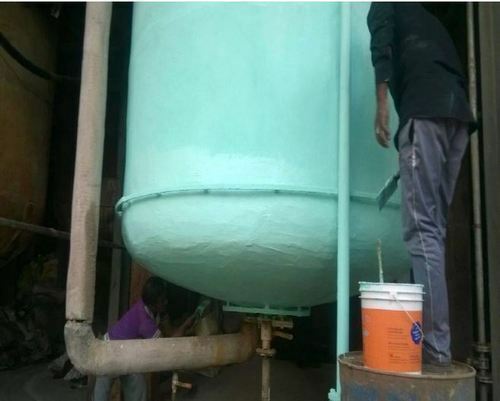 2) Ugam Insulmix EP is tested at V. J. T. I. Mumbai, National Coating Corporation Callifornia, and other laboratories in U. S. we strictly follow A S T M standards and our products are guaranteed against manufacturing defects. 1) Walls, Ceilings, A/c ducts, Roofs, Metal Buildings, Homes, Mobile homes, Industrial and Commercial facilities, Special application in defense, cold storage, automobiles, ovens up to 160 degrees Celsius and many more. Proper surface preparation, application of sealants at major cracks and proper primers or base coat should be applied prior to application of Ugam Insulmix EP. 1) Since it is Solvent base product, the only precaution to be taken while applying on metal surface is to use UGAM METAL EP PRIMER FOR INSULMIX prior to the application of Ugam Insulmix EP. 2) It will avoid any rusting of metal surface due to weather. 1) Reduction of electricity cost by upto 40%. Ugam Insulmix EPhelps to block transfer of heat inward when applied to exterior of walls and outward when applied to interior of walls. For maximum electricity savings in air conditioned buildings, we recommend doing both! 1) Gives thermal insulation to surface over which it is applied. 2) Posses elastomeric effect which bridges existing gaps up to 0.5mm and prevents further cracking. 3) Controls thermal expansion and contraction of the surface and prevents surface movements thereby reducing the possibilities of development of cracks. 4) If applied to building having central A/c., electricity bills can be reduced up to 40%. 5) Being water proof, stops all minor leakages to terraces and walls permanently. 6) Has excellent alkali resistance and U V resistance. This Paint work upto 400 Deg Cto reduce heat losses in atmosphere as well as for ENERGY SAVING. Please go through below details if temperature of your ovens, furnace, steam pipelines, Boilers and where heat is used for process upto 350 Deg C.
For achieving heat resistant with thermal insulation of surfaces up to 350 Deg C Ugam P.U.S.I Composite H.R.T.I 400 is used. 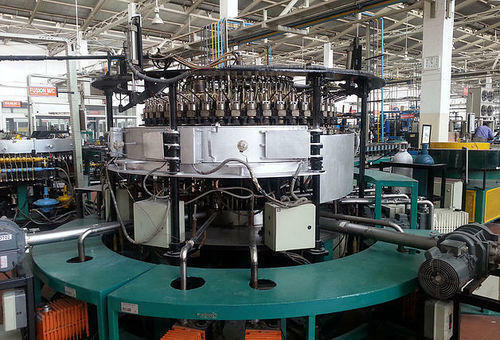 This is mainly used for rubber moulds, presses, plastic moulds and presses to achieve energy saving through blocking heat losses from moulds. UGAM Thermal Insulation Coatings is the only product which takes the care of radiation. The paint contains Imported Ceramic Microspheres which are used by N A S A for making tiles to cover space shuttles for thermal insulation and which are hollow and having vacuum inside. UGAM HRTI 400 is mainly suggested for Furnace, Boilers, Freezer vans, ovens up to 400 degrees C or any surface needing heat insulation. On a bare furnace exterior surface, it’s application has shown the minimum reduction of 10% in temperature. (Deg Celsius) checked with infrared thermometer. It is tested by I. I. T. Mumbai. And National Coatings Corporation California, U. S. A. If undisturbed it does not need reapplication for about five years. In some cases where the application is done both interior and exterior, 40% saving is achieved. Hence ideal saving can be achieved just by applying UGAM THERMAL INSULATION COATING paint. 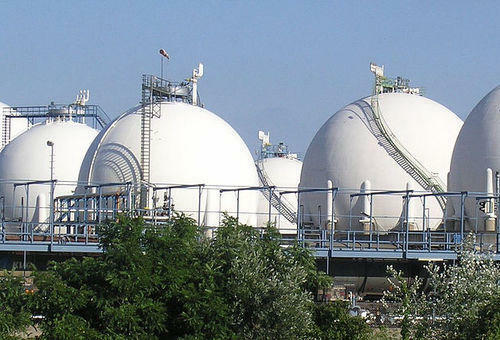 In industries where heat is used for process, UGAM Thermal Insulation Coatings are used for energy saving purpose up to 1800 degrees C. It reduces heat transfer from inner shell to exterior and hence reduces fuel consumption thereby increasing energy saving. This Paint work upto 600 Deg C to reduce heat losses in atmosphere as well as for ENERGY SAVING. Please go through below details if temperature of your ovens, furnace, steam pipelines, boilers and where heat is used for process upto 550 Deg C.
This product is used to the surface of furnace where the temperature is less than 550 degrees C. This blocks radiation losses by repelling it interior and helps even heating throughout furnance. This in turn provides saving up to 10 %. This is used for reduction in energy consumption of furnaces due to heat losses. This product is also suitable for brick hangers in furnace ceiling, furnace doors, any metal area behind bricks which can be exposed to excessive heat in case of bricks being damaged or leaked through. In industries where heat is used for process, UGAM Thermal insulation coating is used for energy saving purpose up to 1800 degrees C.
This Paint work up to 600 Deg C to reduce heat losses in atmosphere as well as for ENERGY SAVING. It is suitable and recommended for the furnaces having a metal surface from inside and working below 550 0C. Help to save the fuel consumption by 10%. This is Epoxy Silicon Base Coating. This product is used to the surface of furnace where the temperature is less than 550 degrees C. This blocks radiation losses by repelling it interior and helps even heating throughout furnace. This in turn provides saving up to 10 %. This is used for reduction in energy consumption of furnaces due to heat losses. This product is also suitable for brick hangers in furnace ceiling, furnace doors, and any metal area behind bricks which can be exposed to excessive heat in case of bricks being damaged or leaked through. UGAM HRTI 600 EPSI is mainly suggested for Furnace, Boilers, Freezer vans, ovens up to 550 degrees C or any surface needing heat insulation. In industries where heat is used for process, UGAM Thermal insulation coating are used for energy saving purpose up to 1800 degrees C.
This Paint work upto 1200 Deg C to reduce heat losses in atmosphere as well as for ENERGY SAVING. Please go through below details if temperature of your ovens, furnace, steam pipelines, boilers and where heat is used for process upto 1150 Deg C.
This product is used to the surface of boiler where the temperature is more than 600 degrees C and less than 1100 degrees C. This is suitable product for application on metal surfaces. For application over bricks, our water base product should be used. This is used for reduction in energy consumption of furnaces due to heat losses.This product is also suitable for brick hangers in furnace ceiling, furnace doors, any metal area behind bricks which can be exposed to excessive heat in case of bricks being damaged or leaked through. In industries where heat is used for process, UGAM Thermal Insulation Coatings are used for energy saving purpose up to 1800 degrees C. Ugam H R T I 1200 Coating is specially manufactured for coating of parts of furnaces which come into contact of heat upto 1200 deg. Celsius. This coating increases the life of parts of furnace or the parts on which they are applied for protection by providing thermal insulation to them by radiation control. Ugam H R T I 1200 Coating is specially manufactured for coating of parts of furnaces which come into contact of heat upto 1200 deg. Celsius. This coating increases the life of parts of furnace or the parts on which they are applied for protection by providing thermal insulation to them by radiation control. The application procedure of UGAM H R T I 1200 is very easy. It can be applied by brush after mixing it well and thinned down to application viscosity if required. It does not need any primer. The previously applied coating should be removed from the surface by UGAM PAINT STRIPPER. The paint stripper should be applied to the surface and left for few minutes till the paint starts lifting from the surface. Then the surface should be scraped lightly with the help of emery paper. The surface should then be cleaned by thinner followed by application of first coat of UGAM H R T I 1200. 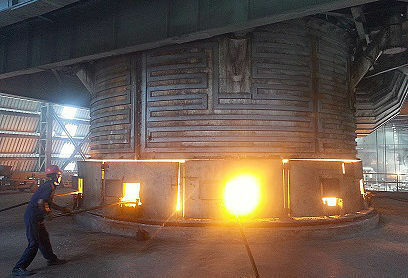 The surface should be air-dried for one hour and then should be heated and maintained to 250 deg Celsius for one hour. Then the second coat should be applied in similar way and cured again at 250 deg C for one hour. Then the third coat should be applied and cured as first two coats. After final coating, the surface should be brought to ambient temperature and then in first heating the temperature should be raised @ 100 deg C per hour. You may get some fumes while first heating. It is normal as convertible medium reaction releases these fumes. The covering per litre is around 100 sq. ft. per coat depending upon the absorption by the surface. 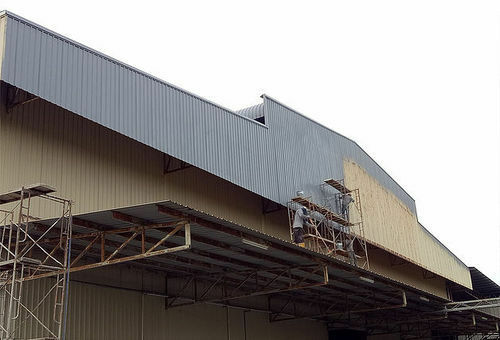 This Paint work upto 1200 Deg C to reduce heat losses in atmosphere as well as for ENERGY SAVING. Please go through below details if temperature of your furnace bricks, is below 1150 Deg C.
For application over bricks, our water base product should be used. This is used for reduction in energy consumption of furnaces due to heat losses.This product is also suitable for brick hangers in furnace ceiling, furnace doors, any metal area behind bricks which can be exposed to excessive heat in case of bricks being damaged or leaked through. In industries where heat is used for process, UGAM Thermal Insulation Coatings are used for energy saving purpose up to 1800 degrees C. Ugam H R T I 1200 Coating is specially manufactured for coating of parts of furnaces which come into contact of heat upto 1200 deg. Celsius. This coating increases the life of parts of furnace or the parts on which they are applied for protection by providing thermal insulation to them by radiation control. First clean the interior surface of oven/ furnace, with sand paper to remove all loose dust, accumulated carbon, foreign material from the surface. Then take 100ml binder and mix it in 600 ml water. Mix it thoroughly and add one kg powder to the mixture. Prepare homogenous mixture and apply with brush. After four hours, apply second coat to the surface. Allow it to cure. Then check the covering. If it is more than 25 square feet, apply third coat. The covering between 25 and 30 sq ft will ensure dry film thickness of 200 microns minimum. Once the application is over, the surface should be allowed to air dry for four hours. Then for the first time firing, the temp of furnace should be increased at the rate of 50 degrees Celsius per hour to the required temperature. This will allow convertible medium to play its role for proper binding to surface. Care should be taken for not to mix entire mixture at a time. Only require quantity for each coat application should be mixed at a time. This Paint work upto 1800 Deg C to reduce heat losses in atmosphere as well as for ENERGY SAVING. 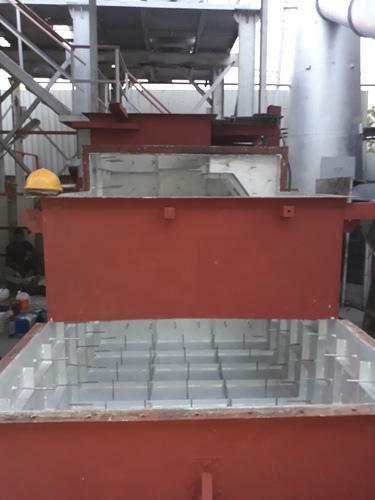 Please go through below details if temperature of your furnace bricks, is below 1750 Deg C.
For application over bricks, our water base product should be used. This is used for reduction in energy consumption of furnaces due to heat losses.This product is also suitable for brick hangers in furnace ceiling, furnace doors, any metal area behind bricks which can be exposed to excessive heat in case of bricks being damaged or leaked through. 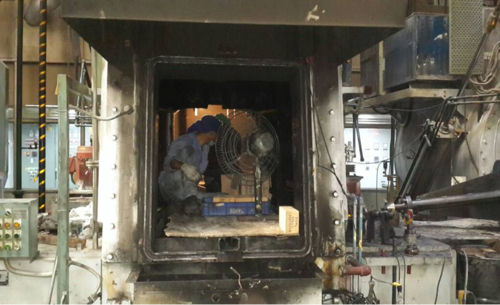 In industries where heat is used for process, UGAM Thermal Insulation Coatings are used for energy saving purpose up to 1800 degrees C.
First clean the interior surface of oven/ furnace, with sand paper to remove all loose dust, accumulated carbon, foreign material from the surface. Then take 100ml binderand mix it in 600 ml water. Mix it thoroughly and add one kg powder to the mixture. Prepare homogenous mixture and apply with brush. After four hours, apply second coat to the surface. Allow it to cure. Then check the covering. If it is more than 25 square feet, apply third coat. The covering between 25 and 30 sq ft will ensure dry film thickness of 200 microns minimum.Once the application is over, the surface should be allowed to air dry for four hours. Then for the first time firing, the temp of furnace should be increased at the rate of 50 degrees Celsius per hour to the required temperature. This will allow convertible medium to play its role for proper binding to surface. Care should be taken for not to mix entire mixture at a time. Only require quantity for each coat application should be mixed at a time. Convection is the transfer of internal energy into or out of an object by the physical movement of a surrounding fluid that transfers the internal energy along with its mass. Although the heat is initially transferred between the object and the fluid by conduction, the bulk transfer of energy comes from the motion of the fluid. Convection can arise spontaneously (or naturally or freely) through the creation of convection cells or can be forced by propelling the fluid across the object or by the object through the fluid. 1) It contents three coating systems based on temperature range. Namely it contains Prime coat, Spray insulation coat and finally top coat. 5) Applied with Texture Gun to make it easy online application. 6) Primer Forms Sealed-Porosity-Coating That Stops Oxidation: withstands up to 1100 deg C.
8) Reduces Shell exterior temperature thereby reducing exterior heat transfer and hence reducing energy consumption. 9) Being inorganic in nature it is ecofriendly. 10) When it comes in contact with fire, it does not get disintegrated or does not react and hence does not emit any hazardous components. 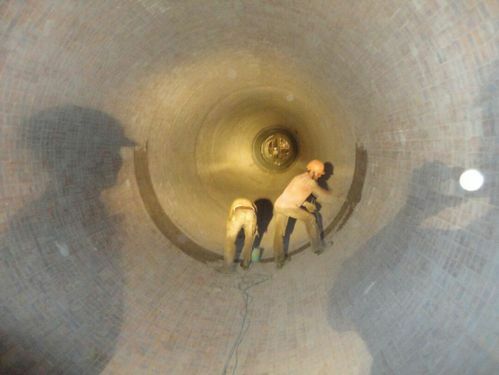 Protecting Stainless, Alloy Steels, Carbon Steels, Low-Alloy Steels from Oxidation or Gaseous Chemical Attack specially in case of furnace shell interiors, Chimney interiors, Boiler shell interiors, As fire proof coating on Ducts, fire walls, steam or other hot pipelines. etc. Also to eliminate glass wool insulation as the maintenance cost is high and with moisture, the thermal conductivity of glass wool increases and the surface corrosion occurs. D) ALICON CAST ALLOYS LTD.
Based on the heat resistant medium and after adding special additives and ceramic microspheres, UGAM thermal insulation coatings are manufactured for energy saving due to reducing heat losses from ovens, furnaces or refrigerators. These microspheres are used in manufacturing tiles used for exterior cladding of space shuttle. These coatings reduce energy from 10 to 20 percent in practical. 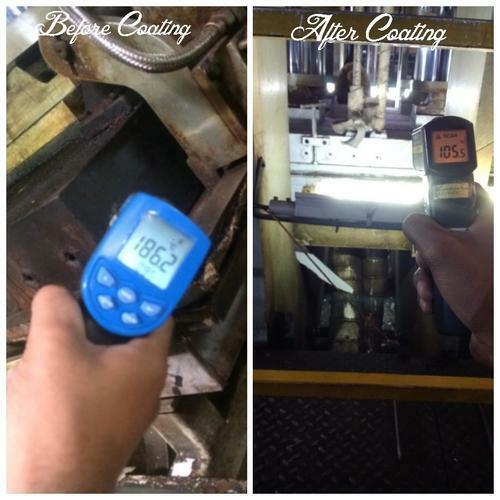 The selection of coating is same as heat resistant coating selection. These coatings are named as UGAM INSULMIX, UGAM H R T I 200, UGAM H R T I 400, UGAM H R T I 600, UGAM H R T I 1200 and UGAM H R T I 1800. These paints work on the radiation control principles. It radiates and reflects heat towards source side. This in turn reflects around ten percent energy saving. 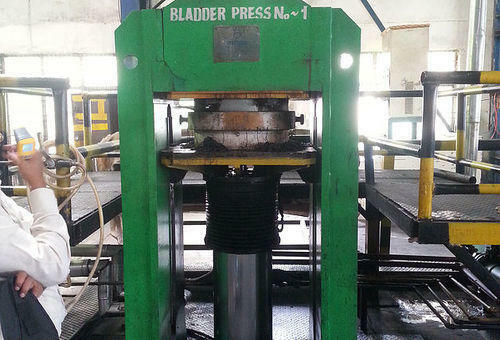 1) The Product is mainly used for reducing the surface temperatures of hot surfaces like Exterior of boilers. 2) When there is heavy heat losses through boiler surfaces, UGAM V C T I coating is the best solution to arrest the same. 3) Approximately 30 to 50 mm thick coating is to be applied depending upon the surface temperature. Our technical team will provide you the guidance on the same. 4) This is also used for reducing the surface temperatures of steam lines, hot water lines, hot gasses lines, hot oil lines etc. 5) The pipelines are coated over with UGAM V C T I coating to bring the temperatures to ambient. 6) This also provides energy saving and increased efficiency due to blocking of heat losses. 7) This is ideally suitable for reducing surface temperatures of furnaces and tobring it to near to ambient. 1. Ambuja Chemicals Ltd, Ahmedabad. 2. Reliance Industries Ltd. Patalganga. 3. I P C L Baroda. 4. O N G C – Neelam and Heera Platform. Products having wide range of heat resistance & thermal insulation ranging from 400, 600, 1200 and 1800 deg Celsius. This products are being used by major industries for Ovens. For energy saving purpose these products are very much useful. This is Epoxy Silicon Base Coating. This product is used to the surface of furnace where the temperature is less than 550 degrees C. This blocks radiation losses by repelling it interior and helps even heating throughout furnance. This in turn provides saving up to 10 %. This is used for reduction in energy consumption of furnaces due to heat losses. This product is also suitable for brick hangers in furnace ceiling, furnace doors, any metal area behind bricks which can be exposed to excessive heat in case of bricks being damaged or leaked through. 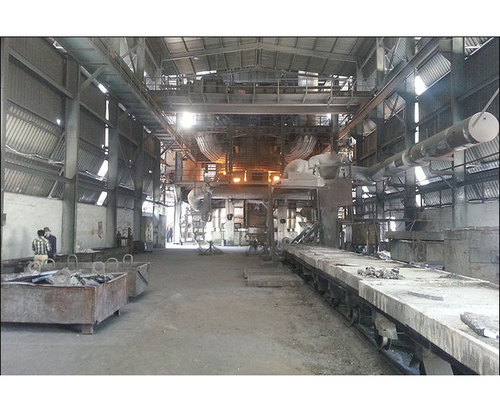 UGAM HRTI 600 EPSI is mainly suggested for Chimneys,Furnace, Boilers, Freezer vans, ovens up to 550 degrees C or any surface needing heat insulation.In industries where heat is used for process, UGAM Thermal insulation coating are used for energy saving purpose up to 1800 degrees C.
UGAM H R T I 600 EPSI Coating is specially manufactured for coating of parts which come into contact of heat upto 600 deg. Celsius. This coating blocks radiations from the surface entering in surrounding environment. Hence this works as energy saving product. This coating also increases the life of parts on which they are applied for protection. The application procedure of UGAM H R T I 600 EPSI. is very easy. It can be applied by brush after mixing it well and thinned down to application viscosity if required. Single coat of UGAM EPSI PRIMER is required in case the application is to be done for whether resistance requirement. The previously applied coating should be removed from the surface by UGAM PAINT STRIPPER/ Sand blasting or mechanical cleaning. The paint stripper should be applied to the surface and left for few minutes till the paint starts lifting from the surface. Then the surface should be scraped lightly with the help of emery paper. The surface should then be cleaned by thinner followed by application of three coats of UGAM H R T I 600 EPSI. Minimum four hours time should be given between each coat. The care should be taken that the final dry film thickness should be 250 microns for optimum results. The surface will air dry after four hours. It can be taken in use after overnight curing of final coat. The coatings will thorough dry in actual use and when temperature exceeds 200 deg C for minimum one hour. The covering per litre is around 75 sq ft per coat; depending upon the absorption by the surface. Looking for “Thermal Insulation Coating - Energy Saving Coating”?